The last of six (6) races for the 2015 Wild Water season, contested on the Blackwood River, Bridgetown. 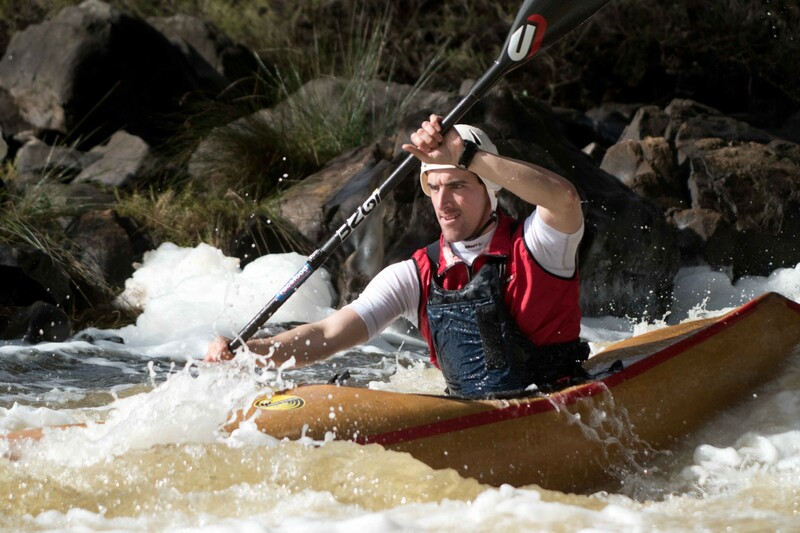 Racing in Bridgetown is the highlight of the Wildwater season in WA. We can normally count on good water levels and a great social weekend. A lot of the paddlers make the 3hr trip from Perth on the Friday to start practicing the course and turn it into a 3day paddling weekend. The water levels were at 11.10, enough to cover the rocks and provide some exciting whitewater. 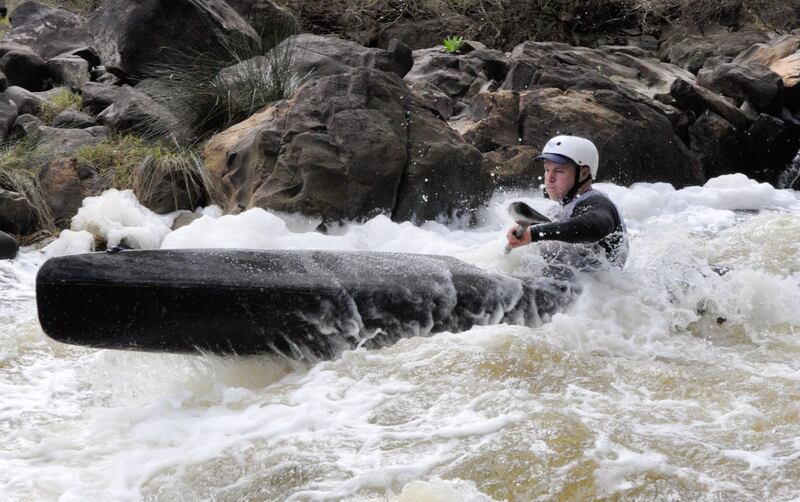 ‘Haystacks’ rapid always entertains and is one of the most challenging and exciting rapids to paddle. To get through ‘Photographers’ rapid, your only choice was to go hard on the right hand side, and trying to avoid going into the ti trees. The other nasty rapid was one located just before the chalets, (we need to give this rapid a name) where there is a steep drop with a large rock positioned in the centre and the river takes a sharp left turn. It was great to see the partners of some of the paddlers get involved and have a paddle also. Jane Hilton had no idea that when husband John packed the marathon K2, that she would be partnering him down the course. “Surprise!! !” Well done Jane. You looked like you were enjoying yourself. 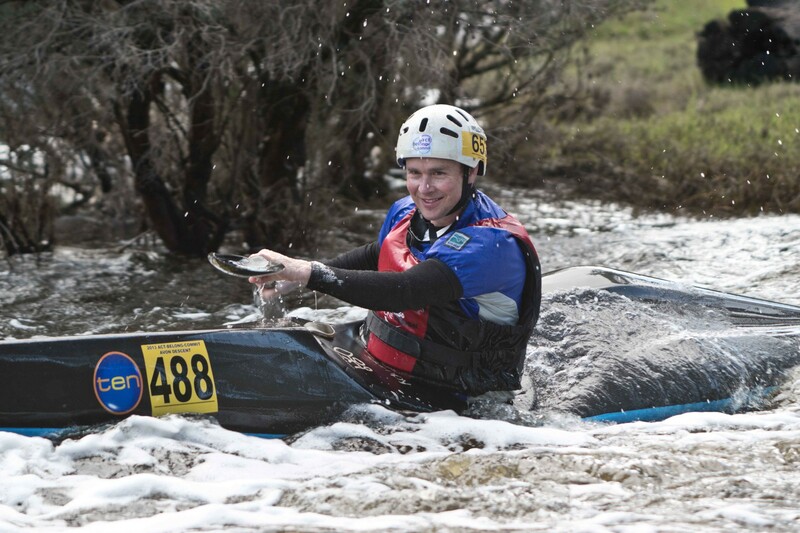 Peter Gigengack escorted his lovely wife Amanda through the course on a PRS, managing to get through all the rapids. All was going well until a bit off premature celebrations at Photographers rapid caused her to have a dip. Luckily, we got the whole thing on Go pro. Awesome job Amanda. We look forward to seeing both Amanda and Jane competing in next years WWR season. For the teams race on Saturday, we had a total of 29 paddlers of all different skill levels. The teams of 3 were created into a combination of novice paddlers with experienced paddlers. The faster paddlers showed patience as they guided the rest of the team through the course, providing encouragement along the way. At some of the rapids, the crowds were entertained by watching groups of 6 paddlers all trying to get through the same rapid. That night, we gathered for dinner at the Bridgetown Hotel to award prizes to the winners, and also some extra booby prizes. We might leave these names anonymous and not publicly shame them. Will we Jane, James, Jason, Adam, Daryl & Paul. On Sunday morning, we were greeted with beautiful sunny weather and a temp of 10 degrees. Warm for Bridgetown. 33 paddlers registered for the WWR interval race with some fast competition coming from 3 of WA’s quickest K1 paddlers, competing in the sundries category. Matt Dean, James Morfit and Simon Roll fought it out amongst each other for pride amongst the K1’s. 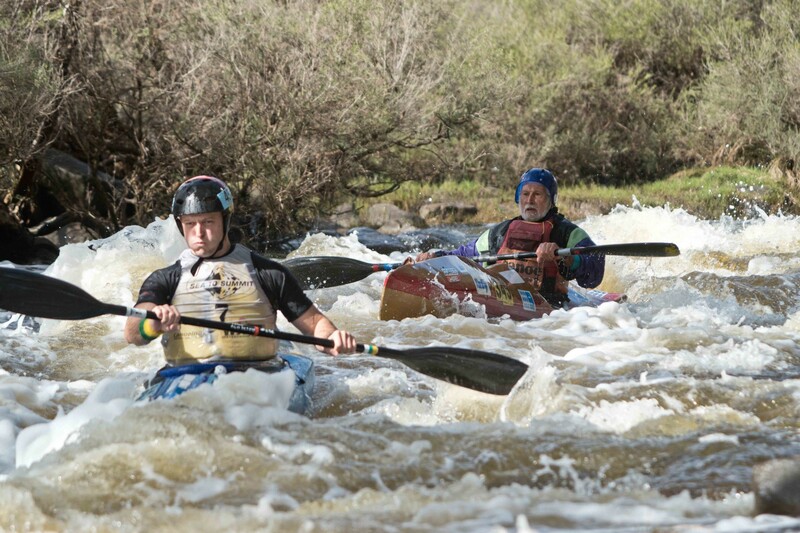 There was plenty of flat sections for the guys to sprint away after smashing there way through the rapids. Matt was too good with the quickest time of 31m 29s. In the WWK1 class, Josh Kippin, who has battled poor health over the last few months, showed that he was fully recovered, and was a formidable competitor once again. His time of 32m 29s was too quick for the rest of the WWR field and only 1minute behind Matt in a quicker K1. Sue Quick continued to dominate the womens WWK1 class with a time of 39m32s with a victory over Baillie Liddle who had her time adjusted by 1m 30s for helping a fellow competitor. Her adjusted time was only 10 seconds behind Sue. Peter G was again too good for the field in the Plastic wave hopper category. Peter has dominated all season and it will be interesting to see if he moves up into a WWK1 next season. All paddlers made it safely through to the finish. There were a few swims, a hole in a boat (Cody) and a broken paddle (John O) but everyone enjoyed the weekend of white water.